Can’t wait for the Walking Dead season finale tomorrow? Nibble on these short clips provided by AMC while you wait. 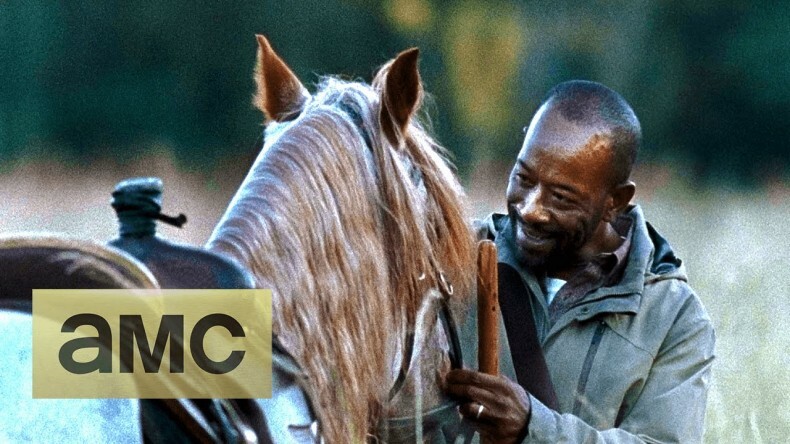 They don’t tell you anything you REALLY want to know, but you WILL get to see Morgan standing around a weedy field with a horse. He calls the horse “fine” and tells him/her how lucky he/she is to be alive. Hopefully these words don’t turn out to be ironic; we then see a pair of boots slowly strolling in Morgan’s direction. The camera then switches to an arm holding Carol’s rosary, which is much too manly-looking to belong to Carol. Can Morgan’s pacifism get him out of this one? Rick (Andrew Lincoln) and the group must go outside the walls to save one of their own. What they experience on the road will change their lives forever. Directed by Greg Nicotero. That’s all you get until Sunday night at 9.